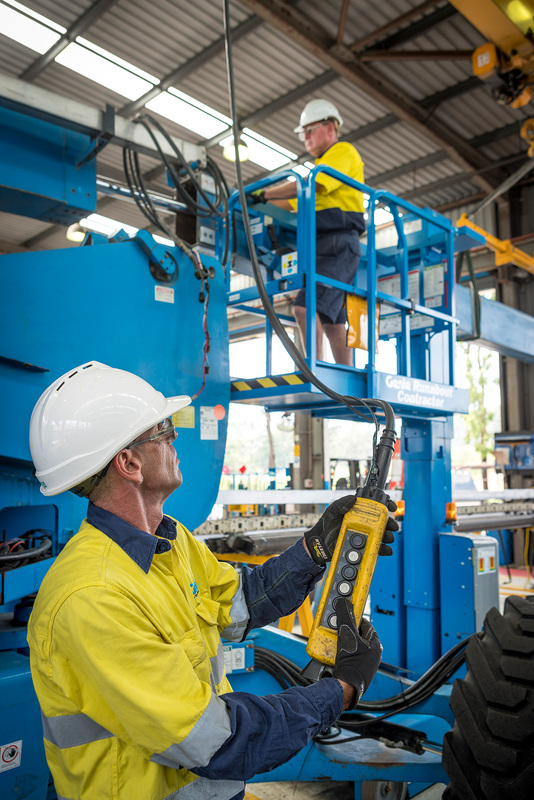 Brisbane, Qld (28 June 2016) - Genie, a market leader in Australia’s Aerial Work Platforms (AWP) industry, is setting a new benchmark for heavy maintenance efficiencies and customer service with Genie® 360 Support. “Genie 360 Support takes care of every aspect of our customer’s AWP needs from initial sales and service through to technical support, operating training, and the comprehensive management of their ageing fleet, including heavy maintenance repairs,” said Mitch Ely, Genie National Operations Manager, Terex AWP. Genie has invested in state-of- the-art heavy maintenance inspection facilities in Melbourne, Brisbane, Sydney and Perth. These facilities are purpose-built for 10-year inspections and heavy maintenance repairs, as well as complementing the AWP leader’s chain of customer support centres around Australia. The current Australia Standard AS2550.10 stipulates the use of manufacturer’s specifications as the primary guideline for the inspection process, according to Ely. “At Genie, we’re developing our own specifications for major inspections, and this will revolutionise the way 10-year major inspections are carried out in Australia,” he said. Genie machine performance data is the basis for the inspection and heavy maintenance processes. “We have a lot of data about how our machines perform over their lifecycle in Australia. We’re also using data from the U.S. to help validate the inspection criteria,” said Ely. Customers have the assurance that before a Genie product enters the market, the prototype has undergone a range of tests to validate the design. Longer term, meticulous testing will deliver speedier major inspections. Furthermore, Genie’s vast experience means that the company is developing safe operating procedures for major inspections for all of it products. “This gives us consistency across all our heavy maintenance facilities and has enabled us to develop a recommended parts list for major inspections,” said Ely.